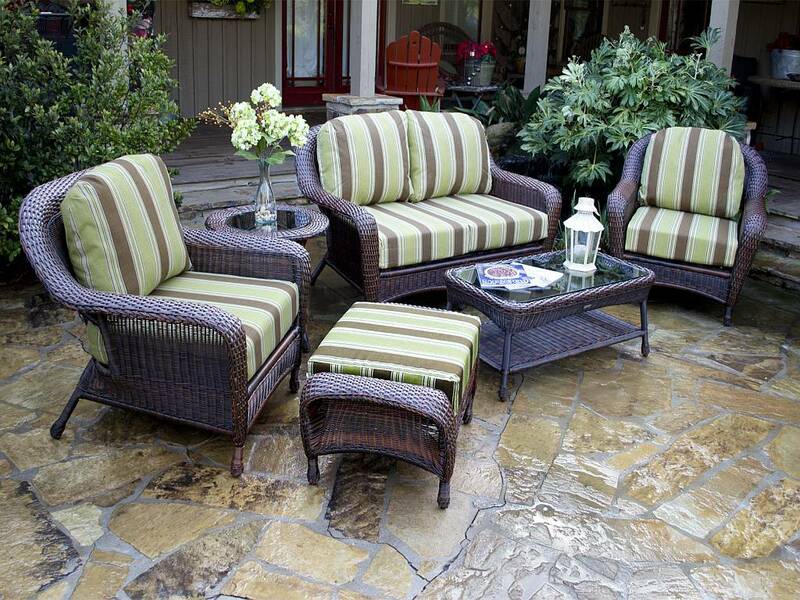 The Lexington Collection offers indoor style to your outdoor living area. 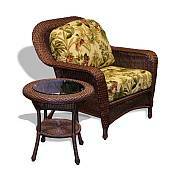 This classic patio furniture collection features a rich brown color with very detailed design. 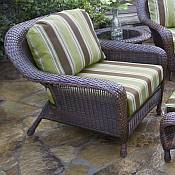 With its extra large, comfy wicker seating, this outdoor furniture collection will be perfect for any outdoor seating occasion. 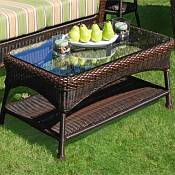 Designed with comfort in mind, you will love the way this furniture set complements your outdoor living area. 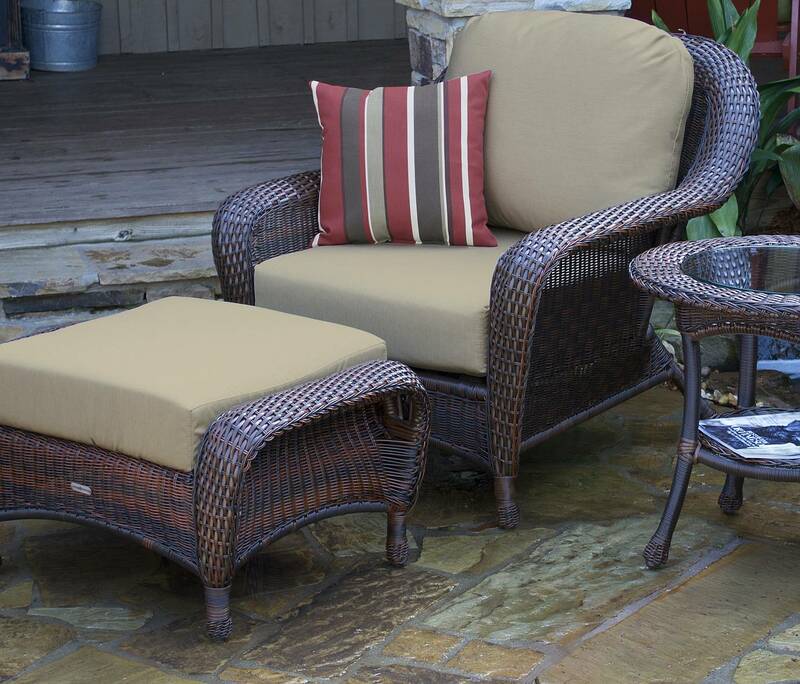 Tortuga Furniture Covers keep your outdoor furniture clean, dry, and ready to use. The covers are made of ultra heavyweight 380 gram vinyl that is fleece-backed and PVC-coated for added protection. 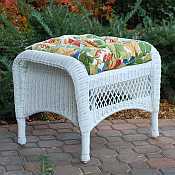 They have vented side panels to increase air circulation and prevent the growth of mold and mildew. 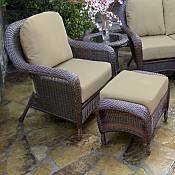 Since these covers are fade and weather resistant, they will provide years of use. The dimensions of the Large Seating Set Cover, which will protect this set, are 113" x 69" x 36." 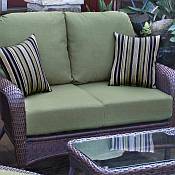 Protect your outdoor furniture investment today with this high quality furniture cover. 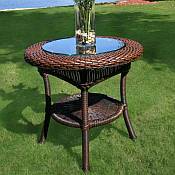 You now have the option to add an Egyptian made All-Weather rug to your Tortuga furniture purchase. These Handsome rugs with a contrast leaf scroll design are avilable in five different colors ( Emerald, Onyx, Indigo, Ruby and Camel ) and three different sizes ( 2 ft.X 3 ft., 3ft.7in. X 5ft.7in.and 5ft.3in. X 7ft.6in.). Made of a 100% polypropylene weave, these rugs are ideal for high traffic areas both indoors and outdoors. These mold and mildew resistant rugs are easy to clean with a mild soap and water solution if needed. 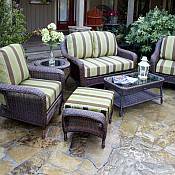 2 Club Chairs: 35" x 35" x 34.5"
Coffee Table: 39" x 21" x 15.5"
Love Seat: 59" x 36" x 34.5"
Side Table: 22" x 21.5"
Ottoman: 30" x 19" x 15.5"
Create a furniture set that fits your individual needs and style by adding one or more of the bundles below to your 6 Piece Set!! Create a furniture set that fits your individual needs and style by adding one or more of the bundles below to your 6 Piece Set!